Remove airborne chemicals, odors and particles with our exclusive activated carbon +HEPA salon air purifiers. Treating Hawaii VOG and SO2 since 2008. Expert industrial chemical and odor filtration with the deepest activated carbon filters and a special carbon blend to better treat the complex pollutants associated with prolonged volcanic activity. How do the Air Purifiers for VOG and SO2 Work? AllerAir’s air purifiers for VOG and SO2 remove the dangerous airborne chemicals, gases, particles and toxic metals with a multi-stage, industrial filtration system. These specially designed air cleaners feature a custom blend of deep-bed activated carbon for the enhanced adsorption of toxic VOG and SO2 pollutants, as well as medical-grade filtration for fine airborne particles. Polluted air first passes through the pre-filter trapping large particles that would otherwise clog the main filters. The air then flows through the HEPA filter trapping up to 99.99% of fine particles. The air is then forced through our exclusive extra-deep carbon filter where the pollutants are attracted to, and trapped in millions of tiny pores and fissures. Clean air is then circulated into your space. Volcanic smog or VOG is formed when sulfur dioxide (SO2) and other pollutants from an active volcano react with oxygen, moisture, dust and sunlight. This creates a dangerous mix of airborne pollutants that can penetrate deep into the lungs and irritate the tissues and mucus membranes of the eyes, nose and throat. The exact make-up of VOG actually changes depending on how much time the volcanic plume has had to react in the atmosphere. The haze is mostly a mixture of water vapor (H20), carbon dioxide (CO2) and sulfur dioxide (SO2) gas. 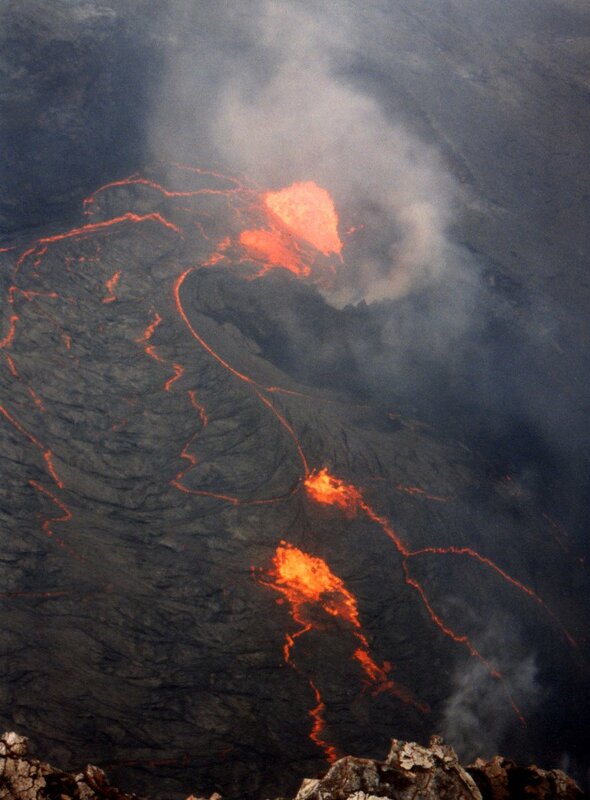 Regions closer to the vents can be exposed to both SO2 gas and fine particles during periods of VOG. Areas downwind are mostly affected by fine particle pollution, also a serious health hazard. The long-term effects of breathing in volcanic smog are unknown.